A modern and colorful take on the original 1990 Portafiori collection design, Papavera jackets and stone studs allow you to customize your color to your outfit or mood. 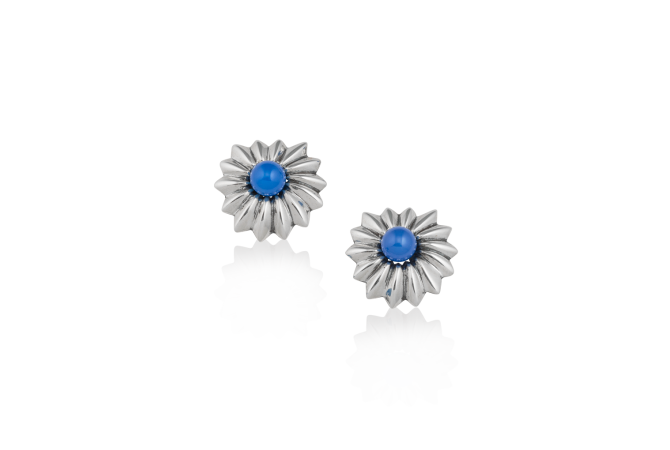 This look features the Papavera Earjackets and Blue Onyx Studs. Earjacket and studs sold separately.